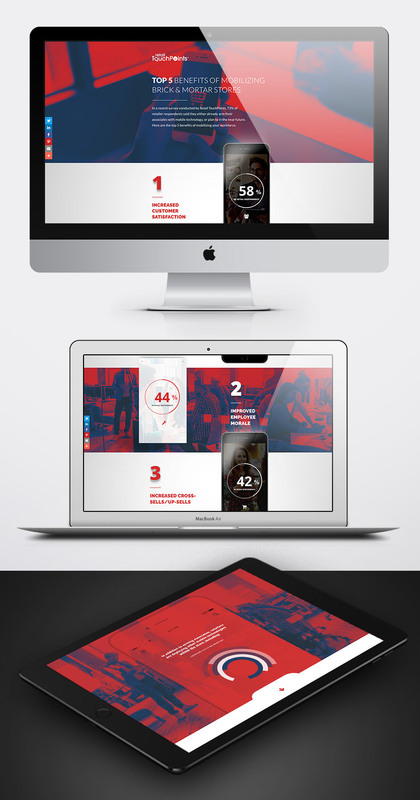 This piece was designed using overlapping elements, parallax headers and interactive hovers. If you visit the site and scroll through the piece, I was able to take the user through a fade in on scroll experience using a wordpress theme but completely customized the design. In addition to creating the layout in photoshop, then bringing the mock into wordpress, I took this a step further using custom css to get the animations I wanted for the hover and scroll effects.